Rue is a black and white 50/50 pomsky. 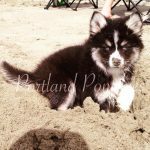 She was born in June of 2015 and came to Portland Pomskies as a forever pet. 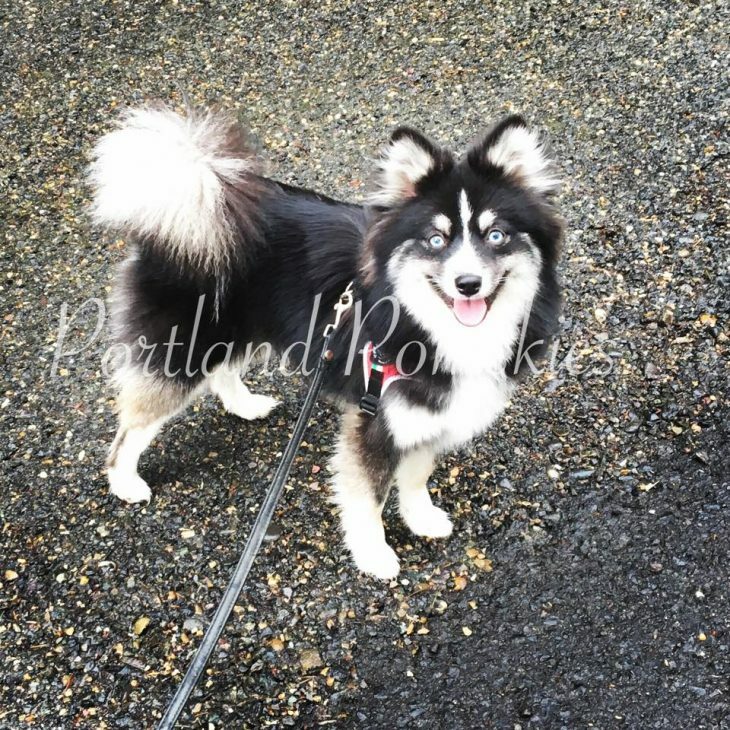 She will be a mom to beautiful pomsky puppies from both pomeranians and pomskies. Rue is full grown at 12 lbs and has a petite build with a wooly coat. She likes to be independent but is happiest around her “human mom.” Rue is very athletic and smart! 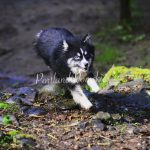 Rue loves to run free in the woods but never goes too far! 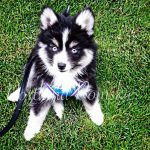 Rue is registered with the Pomsky Club of America and has been genetic tested.